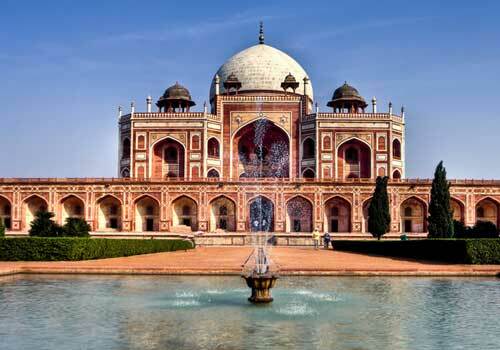 Humayun Tomb is one of the most amazing and beautiful garden tomb in Delhi which attracts a lot of tourist. The Humayun’s Tomb is one of the most ancient and important heritage monuments in India which is preserved in the best possible ways. 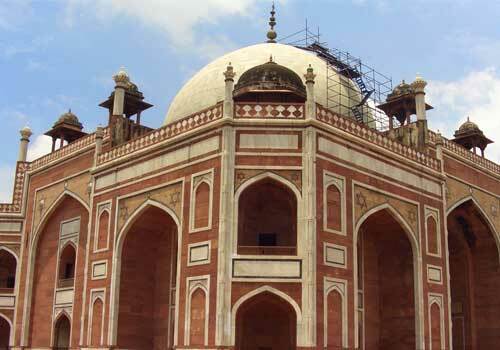 The Humayun’s Tomb has a ancient history to say, which is closely associated with the ancient history of Delhi. The amazing atmosphere, architecture and enviroment makes Humayun’s tomb an amazing travel destination in Delhi. It has been told that the Humayun’s Tomb in Delhi has really been inspired by the Taj Mahal in Agra. Build in AD 1565, the Humayun Tomb is the tomb of Mughal Emperor Humayun and was built by Humayun’s wife Hamida Banu Begum and is located in Nizamuddin East. The Humayun Tomb was regarded as the first garden tomb in Indian subcontinent and this monument uses red sandstone in a higher scale. UNESCO has declared this ancient monument as a World Heritage Site way back in 1993 and ever since the tomb has undergone extensive restoration works. The privilege of being a World Heritage Site has increased the importance of this tomb in the tourism map of India and has seen an extensive increase in the number of tourist visiting this tomb since then. The amazing architecture which depicts the Mughal splendor is really worth watching and once you get inside the compound of this tomb, you will really feel relaxed. The presence of peacocks inside the compound makes your visit more charming and interesting. It is highly recommended to spend your time at tomb during the evening as the atmosphere becomes more charming and elegant. Humayun’s Tomb is considered to be one of the best place to visit with your family, friends or dear ones while you are in Delhi. These day most of the travel agents or tour operators in India have included the visit to the Humayun’s Tomb as an important thing in their tour itineraries. The gardens surrounding the tomb make it a perfect place to spend your time with your friends or family. The atmosphere inside the garden is very much charming and you will really love to visit this place again and again. There is an entry fee to get inside the tomb, but the fee is worth once you start exploring the unique beauty and charm of this ancient monument in Delhi. The tomb complex consists of several building, tombs and many graves which belong to various members of the Mughal family. The Tomb of Babar, Nila Guband, Chillah Nizamuddin Aulia, Bu Halima, Arab Sarai, Tomb of Isa Khan, Afsarwala Mosque, and Mosque of Isa Khan are some of the other important buildings and tombs inside the Humayun’s Tomb complex. 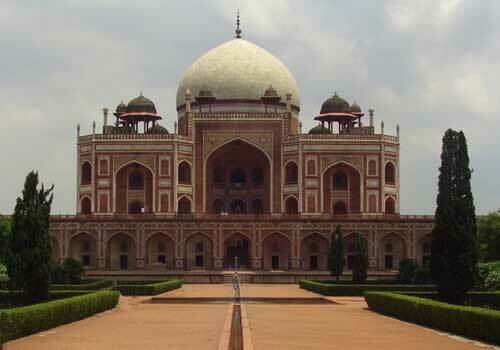 Humayun’s Tomb is easily accessible from any parts of Delhi and you can hire a taxi or auto from any part of Delhi to reach Humayun’s Tomb. You can also use public transportation system such as the DTC (Delhi Transport Corporation) buses to reach this heritage monument in Delhi. There are also a lot of budget as well as luxury hotels near Humayun’s Tomb complex and you can easily select the best one that suits your requirements. You can also make use of any of the reputed travel agent to include this monument in your tour package. Since a lot of travel agents have their presence on the internet, you can easily compare tour quotes and select the best one that you are satisfied with. This entry was posted in Delhi and tagged humayun tomb delhi, travel destinations india, travel to humayun tomb, visit humayuns tomb. Bookmark the permalink.